What is so special about BIC? 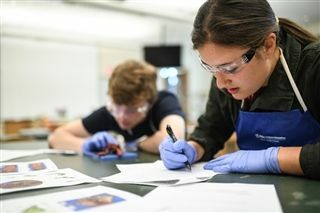 The Berwick Innovation Center (BIC) is an evolving program that reaches far beyond the physical Berwick Academy campus. BIC allows students the opportunity to follow their own intrinsic path to discovery. Berwick’s curriculum balances tradition with innovation. Some ideas, texts, or thinkers are timeless while others are timely. At Berwick, we are constantly reviewing what we teach and how we teach it, so our students can participate in classes that are interdisciplinary, engage ideas at the forefront of innovation, and hone 21st century skills. ﻿BIC is an ever-evolving program, continually expanding and changing with our students’ interests. The possibilities are endless and we look forward to what the future will bring for BIC. The Innovation Pursuit program is a curricular vehicle that allows students to fully engage an intellectual passion. Innovation Pursuits are endeavors that are driven, designed, and directed by individual inquiry. Berwick believes an IP is a valuable learning experience and can play an integral role in the college process. 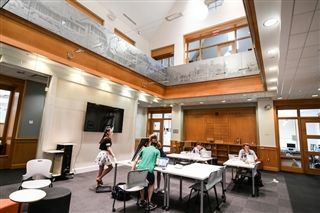 Inspiration Commons (IC) is a dynamic space in the Jackson Library consisting of a central HUB for collaboration and presentation, a Fabrication Studio, and a Digital Design Classroom. The IC is intended to provide a collaborative learning space where the community can gather, share, create, innovate, and most importantly inspire each other. The Makerspace, located in the Middle School, strengthens a mindset and culture of creativity, collaboration, trust, resiliency, and problem-solving in our community. The Makerspace is an incubator for innovation where questions are valued above answers, students learn by doing, and the final product is determined and assessed by the individual. Innovation in the Lower School comes in many forms. 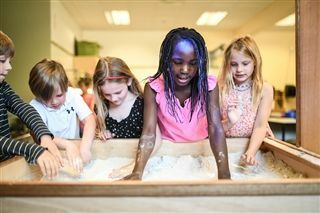 From our Innovation Ex program to curricular innovation like the Project Approach, it is infused in many aspects of the Pre-K through grade 4 experience.